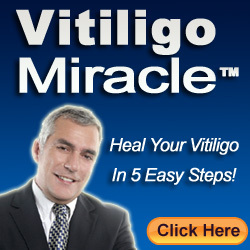 Vitiligo is also known as leucoderma, and it is a chronic disorder that causes white patches on the skin. It occurs when the pigment melanin, which is responsible for producing the color of the skin, does not function properly or die. This condition affects both males and females equally, and the symptoms of multiple white patches are the same in both genders. It is evident in areas that are most commonly exposed to sunlight, but will also affect other parts of the body such as the mucous membrane and the scalp. Who are affected by this disorder? 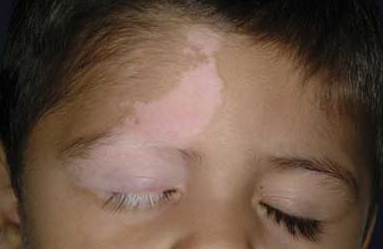 Leucoderma vitiligo most commonly affects people between the ages of 10 and 30. When the melanocytes die or if they do not function properly, melanin is not produced, and the cells therefore do not acquire the normal skin color. It may have a genetic cause; that is, if a person has family members affected by leucoderma, then that person will have greater chances of being affected by leucoderma as well. It is also common in people who have autoimmune diseases like diabetes and heart disease. The patches that appear will initially be seen as small patches, but later, they will start to enlarge and spread to the other parts of the body. Once you come up with such symptoms, it would be prudent to see a doctor immediately. The doctor will conduct a thorough examination to test for leucoderma vitiligo. This would involve a physical examination, looking into the medical history, and will also delve into the family history to check for genetic links. Later, for confirmation, the doctor may have a skin biopsy carried out, which will show details of the melanocytes. Later, the results will be assessed prior to confirming the presence of leucoderma vitiligo. Homeopathic methods are some of the best and most effective ways of treating leucoderma vitiligo. Homeopathic medicines should be taken only under the proper guidance of a homeopathic practitioner in order to avoid the side effects which are associated with it. These homeopathic remedies will help in controlling the spread of the white patches to other parts of the body and will also help in modulating the immune system. They have also been found to aid in improving the natural formation of melanocytes. Apart from homeopathic remedies, there are also Ayurvedic and other natural remedies available for curing leucoderma vitiligo.